I have obtained permission to make a personal explanation in view of certain statements made in this House yesterday while I was not here, with regard to the work of the Steering Committee of the Constitutional Assembly. As everyone knows, there were ten experts appointed to advise the Steering Committee, and all of these appointments were made unanimously by the Constitutional Assembly. That Panel of Experts was requested by the Steering Committee, on the 16th of November 2017, to submit a document to facilitate the Steering Committee to prepare a Draft Constitution. It is the Steering Committee that is tasked with the preparation of a Draft Constitution according to the Resolution adopted by Parliament unanimously, and the Panel of Experts was asked to submit a document to facilitate that process. Hon. Dr. Jayampathy Wickramaratne and I, as Co-Chairs of the Management Committee, were tasked with coordinating some of the work of the Secretariat. In January this year, at the meeting of the Panel of Experts, it was decided that different groups that were appointed will make first drafts of certain chapters and then the whole Panel of Experts will meet together and discuss it and finalize the document. One expert was asked to consolidate everything together, having got all of these reports from these different panels by the end of January. By the end of January, the work had not been done by any of the panels and therefore, that expert was asked to make a first draft. As you all know, if you are preparing a document, ten people can’t sit together, hold hands together and write the document. Generally one or two make a first draft and the others then discuss it and agree. This process went on for a long time and around May, six experts had agreed on one document. But, with regard to the information that was required by the Steering Committee, there was another process that was ongoing and that document was not ready. Nevertheless, in May, the Steering Committee gave the Panel of Experts one month’s time – they wanted two weeks’ time – but the Steering Committee gave them one month’s time to present this document. But even at the end of two months thereafter, it was not ready and at the Steering Committee meeting held two days ago, two documents were presented by the Panel of Experts. One of those documents was by six of the ten experts. The other document was by two of the experts. The other two did not subscribe to either document. The Steering Committee having looked at the two documents and having found that six have submitted one document, and two have submitted another document, requested the entire Panel to see if they could present one single document with the information that was requested of them within two weeks’ time. But the Steering Committee was also conscious that you can’t force experts to agree on anything. If there are ten experts, there might be ten documents that emerge. But it was our request that they try and bring one document. So this is all that happened. There were statements made saying that some experts nominated by certain parties had not signed the documents, and so on. That is not accurate. The document submitted by the two experts – one was a nominee of the Joint Opposition, Ms. Chamindri Saparamadu., and the other, Prof. Camena Guneratne, was suggested by me. So somebody suggested by me and somebody suggested by Hon. Dinesh Gunawardena had agreed on one document. The other document, six had agreed on. And I must say, Hon. Jayampathy Wickramaratne and I coordinated these efforts. The document that was prepared by six experts, we had no input at all. It was drafted by one person, and seen by all the experts. Five others made suggestions, changes, and agreed on that document. We had no involvement in that document at all. Unfortunately, the story is being spread that one of them, Mr. Suren Fernando, Dr. Jayampathy Wickramaratne and I have drafted the document. That’s entirely false. I must say at this stage, in fairness to Hon. 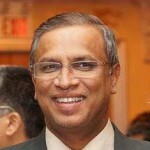 Dr. Jayampathy Wickramaratne, President’s Counsel, and his expertise – he was appointed to a Panel of Experts to advise the APRC by President Mahinda Rajapaksa in 2006. Ten years before that, he was Advisor to then Constitutional Affairs Minister, Prof. G. L. Peiris, on the drafting of a new constitution. If there is one expert in the country today with regard to these matters, it is Hon. Dr. Jayampathy Wickramaratne. Nevertheless, neither he nor I did anything to produce those documents. We are members of the Steering Committee. As far as I am concerned, after this dispute arose, I went and had a look at those documents. I have brought them. It is only after that, that I actually read through the document submitted by six experts. There are many matters in that with which I don’t agree. But that I will take up at the deliberations of the Steering Committee. It is in the Steering Committee, that the members of the Steering Committee will discuss. It is the Steering Committee that will eventually prepare a Draft Constitution, according to the Resolution that was adopted by Parliament. Experts are there to advise. It is most unfortunate that accusations were made yesterday without true facts being known, or, being known, deliberately obfuscated to mislead the country that some underhanded thing is going on. There is no such thing that is going on. I want to assure the House that whatever the experts submit to the Steering Committee, eventually the Steering Committee will deliberate and decide on what to submit to the Constitutional Assembly. And it is not even the Constitutional Assembly that will decide. Thereafter it has to come to Parliament and thereafter it has to go before the People. These are very first few steps where some experts have been asked to prepare a document to facilitate the drafting. So it is most unfortunate that this kind of story has been spread. Some experts have been put at peril. Threats have been made over social media and so on. All that is totally unwarranted, and I regret that some members of the House also contributed to this yesterday. Ha, Ha, Ha. You are lying your teeth as to the process. Admit it, you wrote it with the exam cheat Wickramaratna. You can’t break off Jaffn because, as a Colombo Methodist Tamil minority, you don’t even know where its boundaries are and you will not be accepted by the Hindu Vellalas just like they didn’t accept (the fisher cast) Pirapakaran and Balasingham. You draft as much as you want. But your new FEDERAL constitution will not be enforced. Remember that. Your post sounds like the pot calling the kettle black. Where did you get this idea from? The Hindus including the CM is still moaning the death of “Pirapakaran” or what ever you call him, M/s.Maheswaran gripes over the loss to the people. On the other hand it is the Mahasanga that did not want the low cast Reginold Cooray as Governor in the Kandy region. Hindus might not like it but they have accepted Cooray as a human being irrespective of cast. Saimon is suffering from ‘projective complex’. This is a condition when one attempts to hide their own ills (in this case caste system) by highlighting what obtains elsewhere. I know it is difficult to accept a Tamil expert in the constituion making as a bloodthirst Sinhala Buddhist Fundamentalist. You want a hitler to destroy this land. This island is destroyed by 75% within seventy years of Buddhist fundamentalist rule. In another 30 years whole Srilanka will be destroyed. What is the use of that lengthy and comprehensive explanation Mr. Sumanthiran? How many monkeys can read and understand what you have written? Even those in parliament? EL you are at it. TNA is wasting time. Without an International Investigation, the 8th graders are going to keep making their inventions without having any regards to anything or reading anything. It is not simply the contents, but they are there for four years on this process; seems to be yet understand the very basic of the process. TNA have continued to lower expectations. Might have reached the bottom-line. They risk losing the elections. This may bring jubilation to some but but but……temporary it will be. Do not expect Douglas or Karuna to make much headway! The name Ms. Chamindri Saparamadu rings a bell. She was identified in 2004 by The Sunday Leader as the lady who, while married to someone else, was seen in a compromising position in a van with the ex-Chief Justice, Sarath Silva. Ha, the JO seems to have found such a paragon of integrity to represent themselves at the Constitution making body. As for the issue at hand, Sumanthiran’s explanation makes sense to me. So DJ, the well-known intellectual ‘gigolo,’ as usual seems to have rushed to attack Sumanthiran without waiting to see his explanation. It is about this document, that document, but what is in the document? Can TNA explain what will be in the final draft document for the Tamils? Why is TNA calling for a new constitution before the provisional elections ??? This ping pong draft will drag on to reach parliament, will never get its 2/3 majority and will never ever be endorsed by the majority in a referendum. Then what?? This is all about wasting time to delay the promises and to deviate and to abandon the UN HRC resolution. You are right,constitution making is another delaying mechanism worked out very well by both UNP & SLFP. Ponnampalam Arunachalam to Sampanthan cheating continues. They couldn’t cheat Prabhaharan but they used India and international community kill him. There is no solution by peace talks democratically. Inside story that is coming out of Diyawanna is that Chamindry Saparamdoo is the culprit. Yes, of gedera yana gaman with CJ sarath Silva fame. This lady told Dinesh and Dilan about the disagreements within the expert panel. D and D acme out with all this at steering committee meeting even before Dr. Ranil could begin. D and D attacked experts who had prepared the other draft. After the meeting Saparamadoo leaked everything to Booruwansha who is an old friend from rajapakse days. Saparamadoo’s expertise lies not in constitutional law but elsewhere. She was planted there by Dinesh. What?! Chamindri Saparamadu advising Parliament on constitution drafting? I can only laugh. God save parliament and constitutions. Of course, she has experience in and around parliament. She and CJ Silva used to supervise the environs of parliament in the evenings, until they were caught sitting in a vehicle, not fully dressed. Oh! so old Dinesh nominated her as an expert. And Ranil fell for his classmate’s trap. Now everything that goes inside the experts group gets conveyed to Dinesh. Saparamadu likes this type of thing. She took draft judgements of Sarath Silva to the UNDP and Swiss Embassy where she worked earlier and showed off! When she was nominated by Dinesh, why didn’t Jayampathy Wickramaratne object? Because he was sarath silva’s old friend and so was protective of Chami? Why didn’t Suman object, having known that Chami’s expertise was in another area? So, Suman and Jaya ‘illan kewa’ (asked for it) from Chami. Good for you.